Top 16 Best Gifts for 3 Year Old Girls! 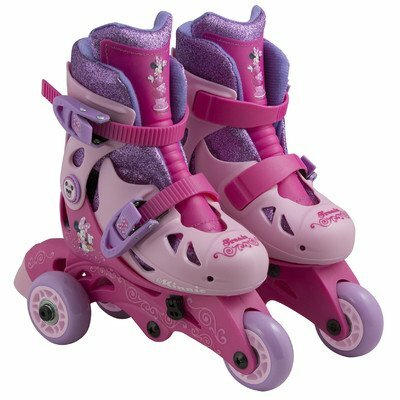 What are The Best Gifts for 3 Year Old Girls? Are you looking for the best and most fun toys and gift ideas for a 3 year old little girl? 3 year old children are definitely no longer toddlers and they are even more active and curious than ever! That’s why you need to choose fun toys that will stimulate their brand-new motor skills and spice up their eagerness to learn something new while having lots of fun! They have an active ‘voice’ and they have their own personality! It’s only fair that we give them toys and gifts that will stimulate and challenge them! I did a thorough research on the best toys for 3 year old girls that will fuel their imagination. spark their curiosity and challenge their motor skills! I find absolute joy in knowing that a parent or grandparent found the perfect gift idea for their child through me! On this page you will find a few of the best gift ideas for 3 year old girls that were approved by parents and grandparents and also based on their high-quality, popularity and uniqueness! *By the way, can you see your 3 year old princess on this amazing pink princess castle bed in the picture above? I can see myself there!! If they had a cute pink princess bed for adults I would get one for me! This fun bed will fit children from 2 to 7 years old! It makes a great Christmas gift idea for any 3 year old little girl’s bedroom! How about a Fun Bounce House? Cool Gift Idea for 3 Year Old Girls! I decided to start my selections of best gifts for 3 year old girls with this fun bounce house because my own daughter got this as a gift when she turned 3 and I will never forget the look on her face when we finished setting it up for her! She let out a very excited scream and immediately went inside and started bouncing! She loved it so much that she literally ‘moved in’! It was a struggle to get her out to take a shower and eat! Needless to say fun bouncing houses make one the best birthday gifts for 3 year old girls!! If you have the space, go for it!! 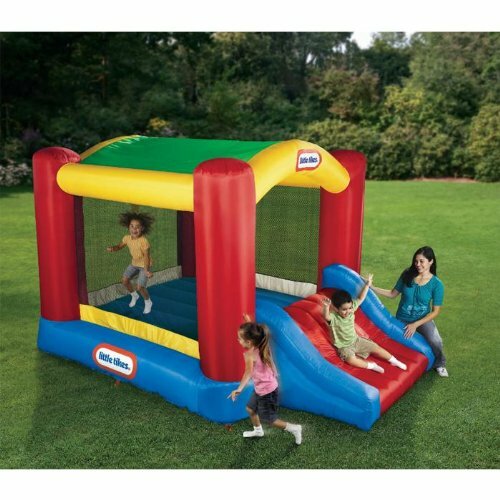 This Little Tikes bouncer is very affordable and perfect to have in your backyard or basement. It is also great for play dates and birthday parties, of course! All kids love it and have a blast together! Best Outdoor Gift Idea for 3 Year Old Kids! If you’ve got the space in your backyard and the cash, then getting a complete swing set is an awesome outdoor gift idea! It is the best way to keep your children entertained outside and in the sun! Perfect for parents with multiple children! This is a complete and ready to assemble backyard swing set for kids ages 3 years old and up! There are climbing activities, sliding, swinging and even chilling and drawing with their friends! Back then the only places my sisters and I could play on swing places were restaurants and local playgrounds. Nowadays kids can have these in their own backyard! -It will take several hours to assemble. Best to have someone help you, so the process is faster. -After that, it’s fun times for the kids! How about a Pink Tricycle? Great Gift Ideas for 3 Year Old Girls! Cute tricycles also make great fun gifts for 3 year old girls! It is the best way for them to exercise and have fun at the same time! This cute pink tricycle for girls is very affordable, very pretty and it ships for free! 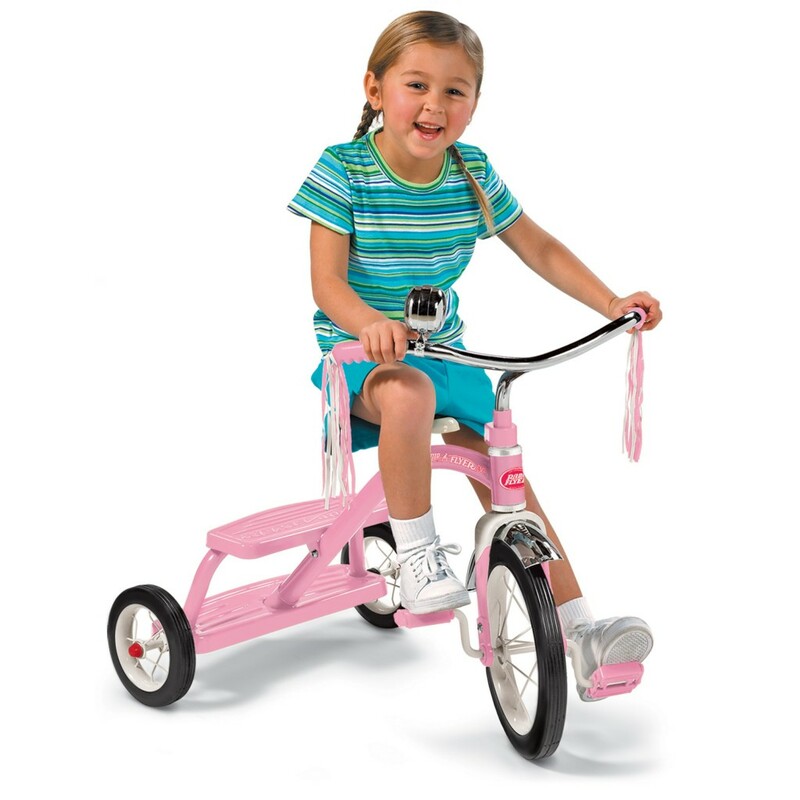 A cute and fun pink tricycle (or any other color, of course) is always a great gift idea for small children! Our daughter also got a fun tricycle from my sister when she was three years old and she loved it! She would go from one place to another in the house only using her tricycle! She also kept it for a very long time, until she could no longer fit, which happened when she was around 6 years old. This is a fun vintage style pink trike for girls! Great Christmas gift idea for sure! How about a Classic Pink Pedal Car? Unique Birthday or Christmas Gift Idea for 3 Year Old Girls! How gorgeous, fun and unique is this classic pink pedal car for girls? If you are looking for the most unique gift idea for a 3 year old girl, this is it! Imagine her ‘driving’ this pink beauty around the block with her parents or grandparents? I bet every child is going to start screaming to their parents to get them one too!! Pink Electric Car for 3 Year Old Girls! What is even better than a cute pink tricycle for a 3 year old girl? A cute pink electric CAR, of course! This cute pink electric car is an absolute winner!! Parents and grandparents love getting this cute electric car as a birthday gift for 3 year old girls! The most fun thing about this cute car is that it fits two kids from 2 to 6 years old! She can play with her older sister! This cute car for girls also plays music and flash lights! Can you imagine how much fun your little girl is gonna have driving this gorgeous pink mustang? She can even take her baby sister or baby brother for a ride too, since it fits two kids inside! It also makes the coolest sounds! The max speed is 5 mph but in the beginning you can also set it up to 2.5 mph. It’s safe, fun and a great birthday or Christmas gift idea without a doubt! Gorgeous Ride on Toy Pony for Girls! Cool and Unique Present for a 3 Year Old Girl! What’s even better than a cute pink ride-on car for some girls? We all know that little girls love ponies! Imagine a cute plush pony! If your little girl has a big love for animals already, specially ponies, then she is going to LOVE getting her very own ride-on toy plush pony! Parents say it’s very well-designed and it’s very sturdy too! It’s also very easy (and fun) for kids to turn and maneuver! 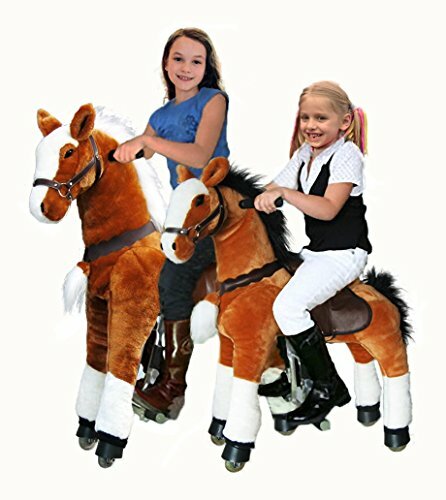 *Best Ride on Horse Toys for Kids!! Beautiful Toy Idea for 3 Year Old Girls! 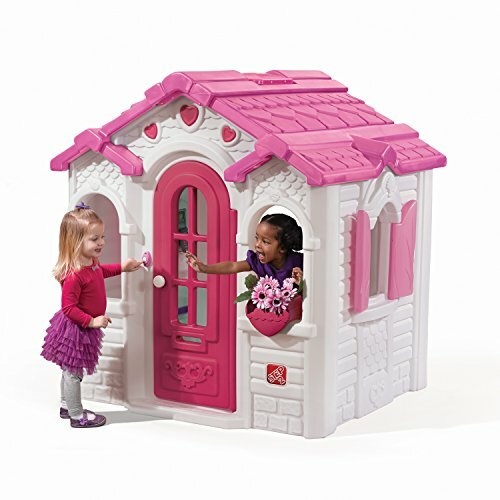 Another wonderful toy gift idea for little girls is a gorgeous dollhouse, of course! Dollhouses make excellent Christmas gift ideas for 3 year old girls! It is a wonderful way for them to develop their imagination and improvisational skills while ruling a household for their cute dolls! My middle sister and I spent most of our free time playing with our gigantic doll house that was actually improvised out of our own bookshelf…. Back then there were no such beautiful dollhouses like this majestic mansion! It is a great way for sisters to interact and play together! Most little girls LOVE playing with dolls and this majestic dollhouse is a dream come true! It is huge and it has 8 rooms for them to decorate and play pretend with their cute dolls! 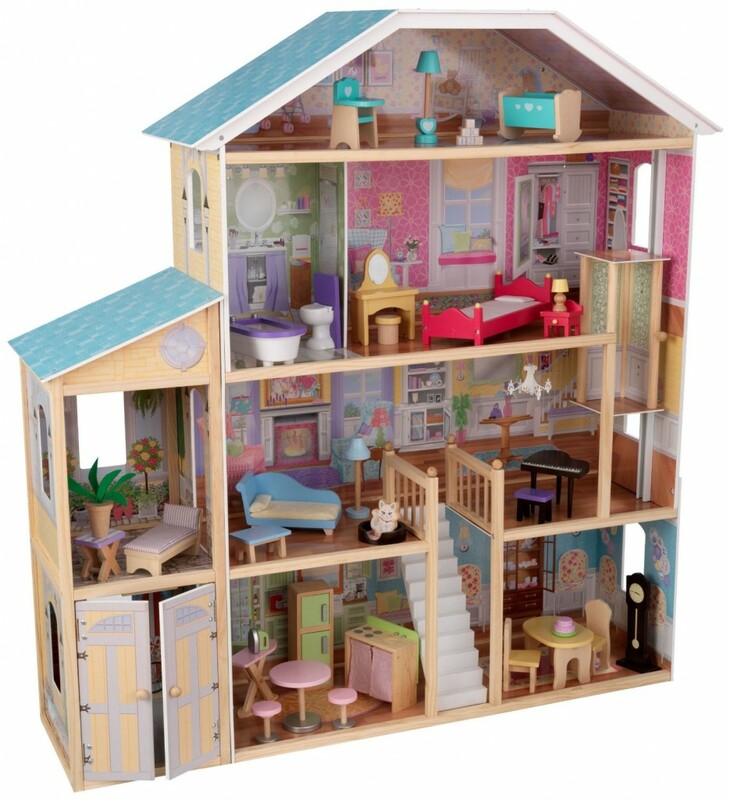 Most parents said this dollhouse is absolutely gorgeous and the most perfect gift idea for their 3 year old girls! They play with it for hours and hours on a row and it looks very beautiful in their bedroom! Great Christmas Gift Idea for 3 Year Old Girls! Little girls love to play house and imitate their mommies! Even better if she has a brother or sister to play house with her! This one can be set up in your backyard, basement, playroom or even in her bedroom! It is cute, fun and large! It fits two little kids inside comfortably! Kids love opening and closing the door, going in and out of the house and also staying at the window, just like this little girl in the picture! I love the cute colors and the cute heart designs! Best Toys for 3 Year Old Girls! Little girls LOVE to pretend they are mommies too and they love to imitate mom and dad! 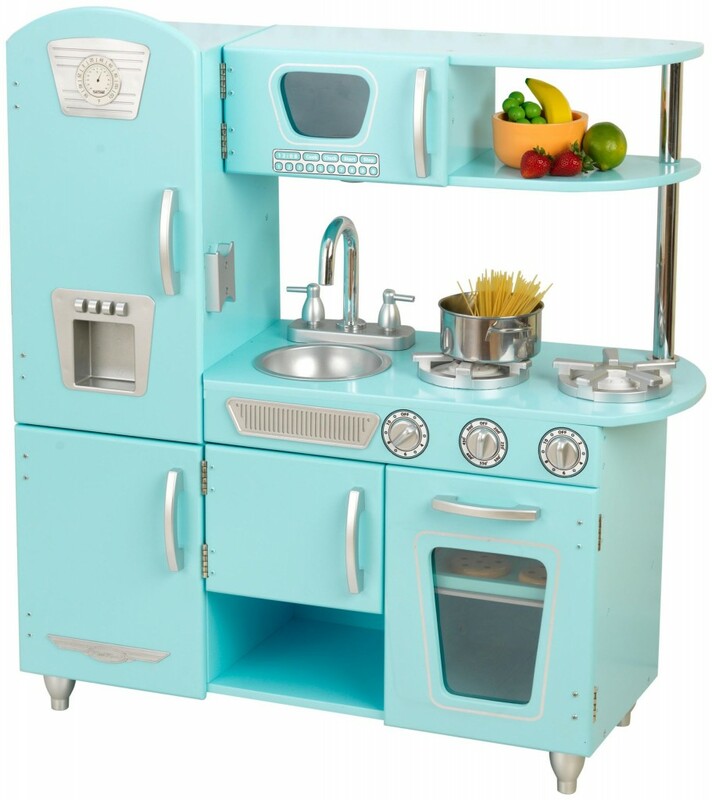 Toy kitchen sets always make great gifts for little girls because they help stimulate a child’s imagination, improvisation, motor and cooperation skills! Look how gorgeous this vintage style pretend kitchen is! It is very realistic and it even has a fridge, stove, dishwasher, microwave and sink! I wish my REAL kitchen looked like this! It will keep your little girl entertained for hours ‘cooking’ for her cute baby dolls! 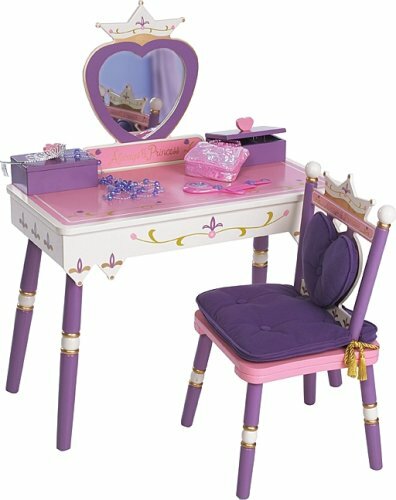 Levels of Discovery Princess Cute Vanity Table and Chair Set for Girls! Fun Christmas Gift Idea for 3 Year Old Girl! Cute vanity tables with chairs make such cute gift ideas for 3 year old girls! They love to sit down and comb their hair in front of the mirror feeling like a true princess! It is a great way for them to learn how to groom themselves and take pride in their appearance! This cute pink and purple vanity set comes with a message that says “Always a Princess”! This is the cutest vanity table for little girls being sold right now! It makes a wonderful birthday or Christmas present for any 3 year old girl in the family! It looks very cute in their bedrooms and they love combing their hair and pretending they are a princess! The heart-shaped mirror is the cutest thing ever! I also love the pink and purple colors! Buyers said it’s very durable and their daughters love it! Cute Studio Desk and Art Table for Little Girls! Best Birthday and Christmas Gifts for 3 Year Old Girls! Does your little girl love to draw and color? Then this cute studio desk will be the perfect gift idea for her! One of the best gift ideas for a 3 year old girl is a fun and colorful art table for kids! Of course back then they were much more simpler than the art tables of today….. 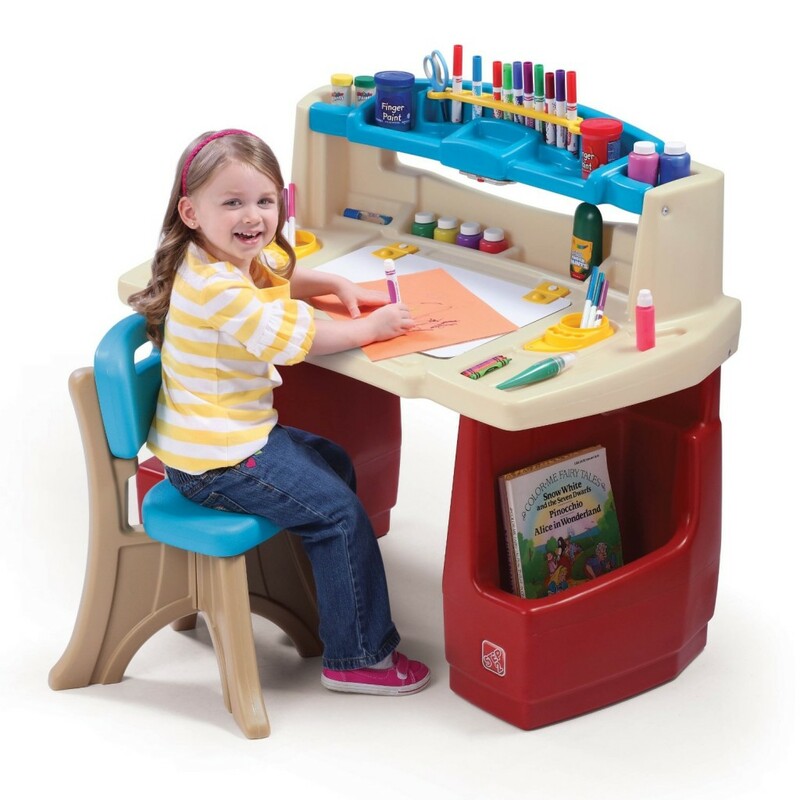 I chose this fun art desk for kids for your 3 year old girl because it is affordable, very spacious and full of storage space and fun!! Perfect desk for developing their creativity! Will also look very cute in her room! It fits little girls from ages 2 to about 6 or 7 years old! How about a Cute Pink Piano? Great Musical Gift Idea for 3 Year Old Girls! How cute and adorable is this pink ‘horse’ piano for little girls ages 2 and 3 years old folks? What a wonderful way to spark their musical interest! A cute piano for children is one of the best gift ideas for 3 year old girls ever! Music is the best gift a parent can ever give any child! If she is musically inclined, give her a cute and girly piano, just like this cute pink horse purple piano and start teaching her how to play easy songs! This cute pink piano comes with a learning system that is very easy for parents or grandparents to teach their own children how to play! It’s also very sturdy and durable! It comes with a fun teaching system using color strips that fit behind the keys and it makes beautiful chime-like sounds! 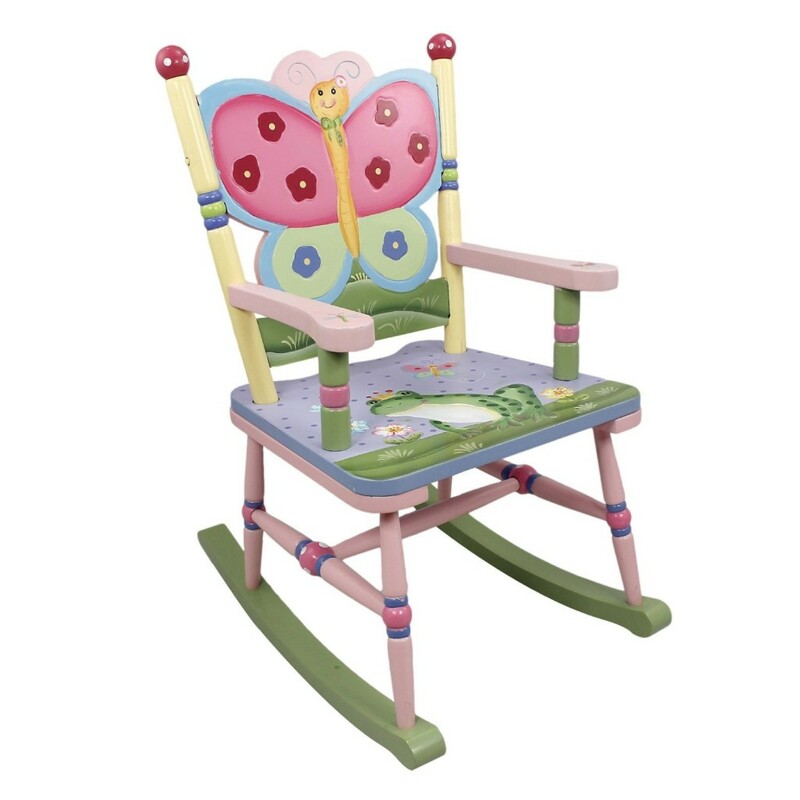 Cute and Adorable Butterfly Rocking Chair! Very Cute Gift Idea for Little Girls! What better way to encourage little girls to start reading than with a cute butterfly rocking chair like this one? Get a few fun picture books for girls to go with it and you are on your way to getting your little girl excited about reading time! I am sure she will get very excited with this ultra-cute butterfly chair for her bedroom! Another fun gift idea for 3 year old little girls! Their first pair of roller skates! Little girls also love playing with cute and fun tea sets! *Best Gifts for 5 Year Old Girls! *Best Gifts for 6 Year Old Girls!